Porches come in all different designs, from a screened-in porch to a three or even four season porch, the line of what separates the indoors and outdoors has become increasingly creative. Whether you’re looking to remodel an existing porch, add function to an already installed sliding door that goes nowhere or create an entirely new space for your, your family and friends to enjoy – the outdoor living possibilities are endless when you choose Kootenia Homes. We have successful completed multiple porch constructions for suburban homes located in Woodbury, North Oaks, Eagan and other local east metro St. Paul, MN cities. 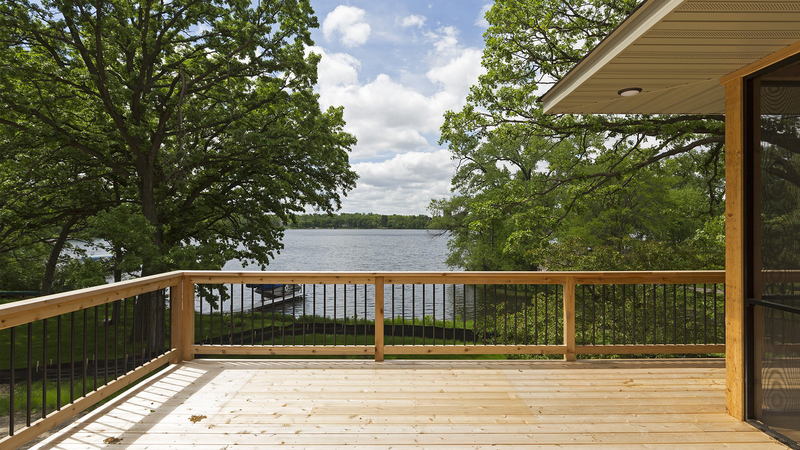 Are you looking to add a porch you can enjoy throughout Minnesota’s harsh seasons? Kootenia Homes can create a comfortable and stylish 4 season porch that will do just that. A four season porch is just about the same as a room addition but many enjoy using this home addition as a more scenic space. When trusting us to construct your porch addition it will be energy efficient, as well as fully equipped with lighting, heat, air conditioning, a fireplace if desired and of course windows. Quality in construction and installation of this type of porch is crucial, to ensure you are able to enjoy your home’s new addition at any time of the year. To withstand the Minnesota winter months a 4 season porch should be properly insulated, durably constructed and every window and door should be correctly installed and sealed air tight, to prevent energy loss. Another popular home porch addition is a 3 season porch. This type of space allows for some of nature to come into your home, while still being surrounded by the comfort and luxuries of the indoors. Usually a 3 season porch allows for both window screen and glass inserts. These porches are meant to be enjoyed from spring to fall, with ceiling to floor insulation but when winter rolls around they can’t offer the comfort like a 4 season porch. Screened-in porches are great at keeping mosquitos out, while you enjoy the beautiful sights and sounds of nature. This outdoor home addition allows you enjoy extra space, even in inclement weather. 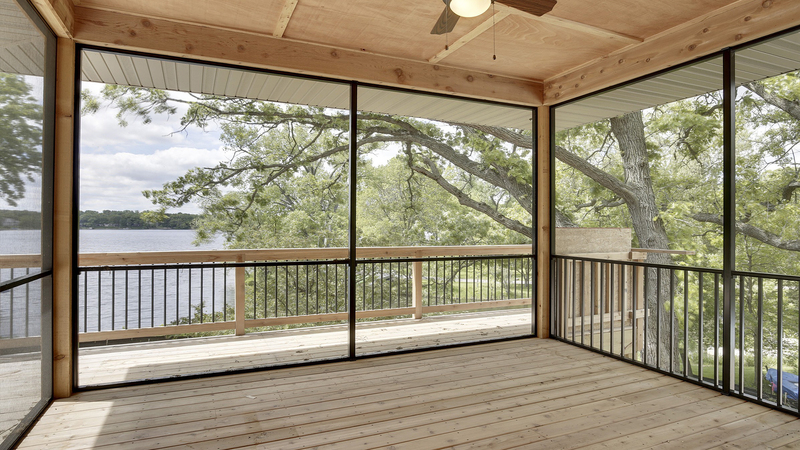 Durable screens are an important factor in the design, also another equally important factor to consider is the railing stability, especially if the screened-in porch you’re wanting constructed is at a high elevation. For safety and performance it is important to trust only the best to construct any porch addition. Our award winning design and construction team can help guide you towards the outdoor porch addition that will work best for your lifestyle and budget. We can even offer simple porch covers, for an even more affordable way to enjoy your summer each and every day. We are dedicated to providing you with your desires, down to every last detail. Our professionals can find an exact match to your existing home exterior or take a more modern approach and create a porch addition that stands out, has character and adds a creative architectural element to your home. Our team has experience turning decks into porches and even transforming a current porch into a 4 season addition, the capabilities of our builders and designers are endless. When you choose Kootenia Homes you’re choosing quality! Contact our professional remodeling, construction and design experts for more tips, answers to your questions or to set up a porch remodel consultation today at 651-731-2345 or email us at Info@KooteniaHomes.com .